Can you believe summer is almost over?! We love that fall always marks the beginning of a new school year, because it’s a great time to reset. 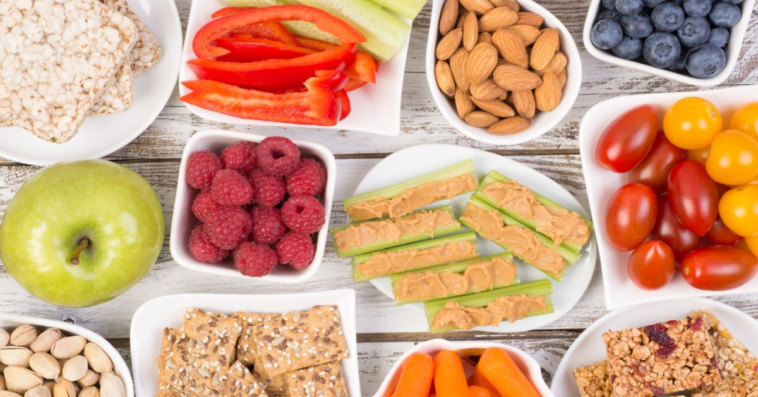 We’ve got you covered with healthy school snack ideas that are parent and kid approved! 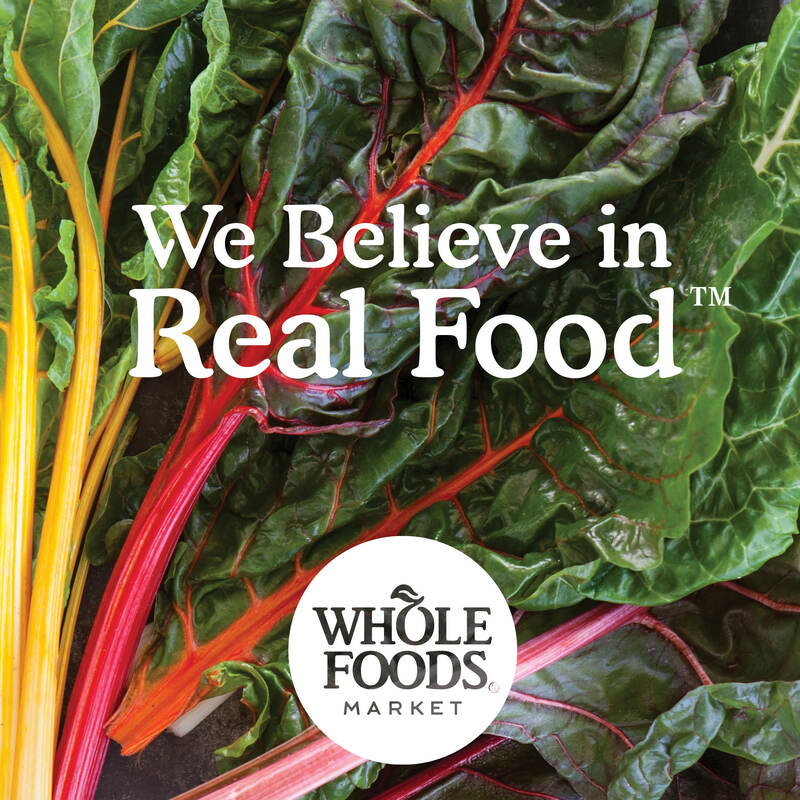 Whole Foods Market can help to ease the transition from a schedule-free summer to the frenzy of fall by offering a variety of packaged foods & convenient meal solutions—with nutrition & organics in mind. We’ve rounded up our favourite grab & go snack options with school safety and common allergies in mind. We know you’ll find some new favourites to add to your rotation – and they’re all available at Whole Foods Market stores across Metro Vancouver. Vegan, certified gluten-free, kosher, and Non-GMO Project Verified. All chips are made without corn or any of the top 8 food allergens. You get all the crunch you want but none of the stuff you don’t! With 7 different flavours, kids will never get bored. And we love that one serving of chips gives kids 5 grams of protein and 6 grams of fibre. Contains only organic pasteurized whole milk (for cheddar) & partially skimmed milk (for mozzarella), sea salt, microbial enzyme, and bacterial culture. Since 1989, Organic Meadow has produced organic milk at its best and is proud to offer a full line of organic dairy products. These delicious & nutritious cheese sticks are perfect for kids’ lunch boxes! 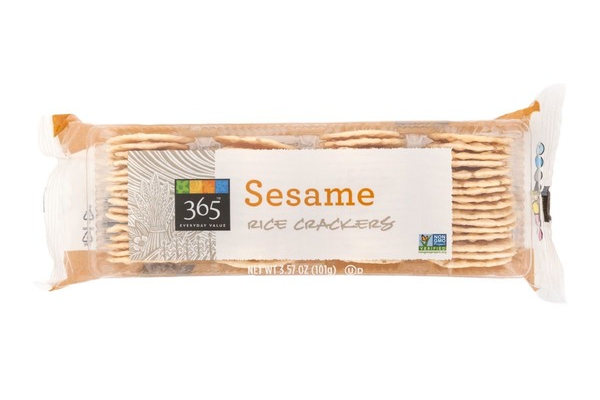 Free of the top 8 food allergens, sesame and sulphites. Organic and non-GMO ingredients are used where possible. These bars & cookies are delicious, nutritious and full of natural ingredients. And they have a wide range of fruity, chocolately and just plain yummy flavours! USDA Certified Organic, Certified Kosher, and Non-GMO Project Verified. No high fructose corn syrup! These cute, bear-shaped mini cookies are easy to add to a lunch box without all of junk found in other cookies! Win-win for kids & parents. USDA Certified Organic, Certified Kosher, Non-GMO Project Verified, low sodium & no high fructose corn syrup! 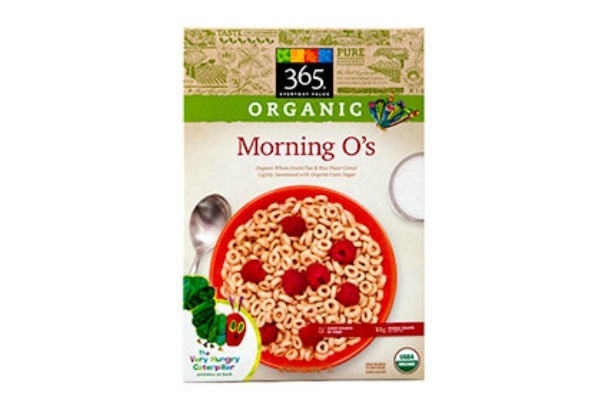 This organic whole grain oat & rice flour cereal is lightly sweetened with organic cane sugar. Easy for little hands to manage and perfect for preschool lunch boxes. Non-GMO Project Verified, Certified Kosher, vegetarian, low fat and no sugar added. We love that these are made with simple ingredients like rice flour, sesame seeds, sesame flour, expeller pressed safflower oil and salt. They’re light & crispy and oh so good! Free of gluten, nitrites, antibiotics, dairy, soy or added preservatives. These high protein snacks made from Humane Certified Pork keep kids fuller longer and fueled for their days of learning. They don’t need to be refrigerated so you can stuff them in a backpack or a lunch kit and not worry! Certified Organic, Non-GMO Project Verified, no artificial ingredients and nothing extruded. Made with organic coconut, seeds and spices – simple ingredients that appeal to the most discerning palates – your kids! It’s a better-for-you snack that offers the perfect mix of sweet and savoury. Packed with nutrition, this on-the-go snack is the perfect combo of organic yogurt, thick-cut rolled oats, organic chia seeds and locally-made, low sugar fruit compote with over 10 grams of protein! Great for gut health and keeping kids full, these live culture yogurt treats are packed with flavourful ingredients kids love. Certified organic, no added sugar, no artificial colours, flavours or preservatives, non-GMO project verified, vegan, and gluten-free. 6 great juice box flavours that are grown and pressed naturally – what’s not to love? Drink in the 100% juice that’s 100% delicious. These juice boxes are great for grab and go or sit and sip (and be sure to recycle them afterwards!). Organic, gluten-free, Non-GMO Project Verified, and free from corn and top 8 allergens. Rich dark chocolate and ripe bananas – yum! These granola minis come in five varieties, taste just like dessert and contain the nutrients found in one full serving of vegetables and more than a serving of fun! They are wholesome and delicious for on the go families. Vegetarian, organic, non-GMO, and nut free. 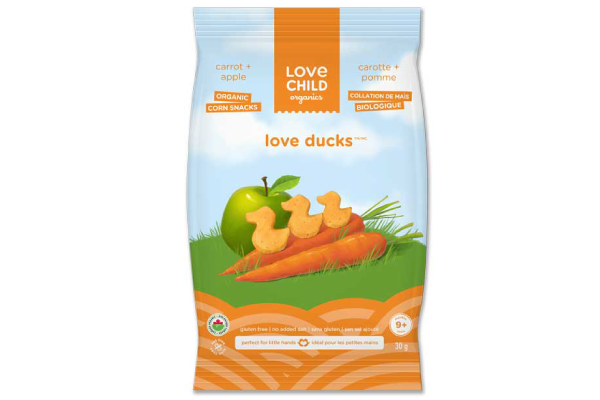 Cute-as-a-duckling organic puff snacks are made from non-GMO corn flour, rice flour, sunflower oil, and dehydrated fruits and vegetables – and nothing else! They’re so yummy and fun to eat, your kids won’t miss the sugar or salt. An ideal snack for babies or older kids. Quack, quack, quack. Nut free, vegan, high fruit content, low sugar, low calorie, low fat, no artificial flavouring. Dip, scoop, frost or spread these amazing natural spreads – such a hit for satisfying a sweet tooth with only real fruit and coconut sugar. 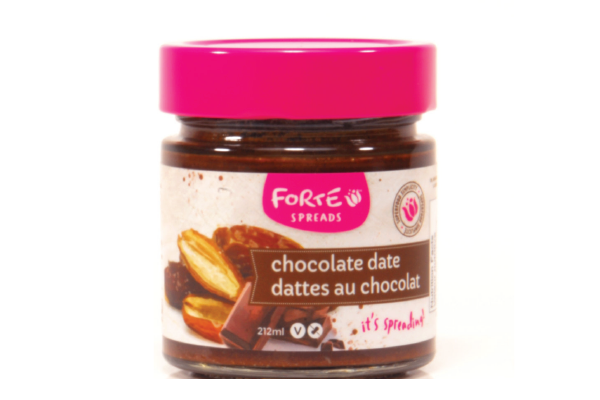 We love that Forte spreads have 75%-130% more fruit than jams, have none of the top 8 allergens (yey school safe!) and come in 6 fun flavours, including chocolate date, chocolate espresso and blueberry date. Yum! Certified Organic, Non-GMO Project Verified, vegetarian, gluten-free, and peanut-free options are available. Whether you choose crunchy granola or crispy rice, all of these convenient snack bars are bursting with nutrients and flavour! Berry Blast crispy rice bars are a big hit with our kids, offering the wholesome goodness of brown rice studded with freeze-dried blueberries and intense red raspberries. Non-GMO Project Verified, vegan, kosher and organic. You will ‘heart’ these hemp heart bites in original, chocolate and cinnamon flavours made with the goodness of hemp, organic sweeteners, and a touch of sea salt. They are rich in protein and have all 10 essential amino acids – the perfect addition to any lunch box! Free of the top 11 allergens (including gluten, tree nuts, peanuts, dairy, eggs & soy), vegan, NON-GMO, Kosher, no added artificial sweeteners, sulphites, preservatives, fillers or colourings. 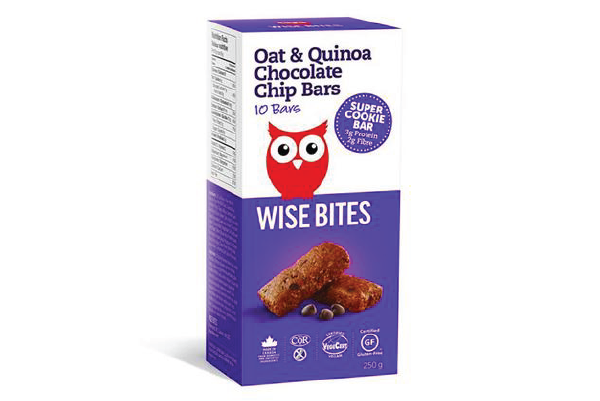 With their extensive line of allergen-free cookies, cookie bars, muffins & packaged goods (like dairy free chocolate chips), Wise Bites offers healthy eating on the go made easy for busy families! And with flavours like Oat & Quinoa Fudge and Oat & Quinoa Chocolate Chip, your kids will never have to know how good they are for them. Non-GMO Project Verified, vegan, gluten free, organic, and no artificial colors, flavors or preservatives. These sustainably-grown organic seaweed snacks are made with 100% organic extra virgin olive oil and just a pinch of sea salt, and they’re full of nutrients and minerals. We love that they come in full sheets, family-size packages, and small convenient packs to throw in a lunch box, and come in a variety of flavours to appeal to a wide range of kids (Classic Olive, Toasty Onion, Chipotle, Wasabi and RAW). Non-GMO and free of top 8 allergens. 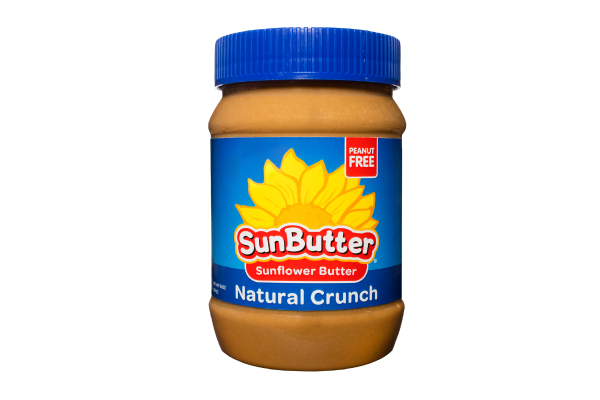 SunButter is a natural, simple, and delicious sunflower butter that’s great for kids sandwiches or using as a spread/dip with fruits, veggies & crackers. Made from roasted US grown sunflower seeds, SunButter has 7g of protein per serving and more vitamins and minerals than nut butter. 10 Satisfying Summer Salads 12 Healthy Halloween Snacks for Kids Healthy School Lunch Ideas: What Nutrition Do They Need? Some great products! I especially love the Made Good granola mini balls. Great for us with food intolerances! My littlest LOVES those FreeYumm bars. She calls them ‘baby bars’ because they fit perfectly into her hand…and well, we call her ‘the baby’ still 😉 Great list and round up of lunch items. Very inspiring for the season to come! We would like to try to the Wise Bites Quinoa bars. They look yummy! My daughter would love to try SUNBUTTER SUNFLOWER Butter the most! Love all the recommendations of the food above!!!! My daughter would love the Quinoa bars! My baby girl loves everything Love Child, especially the love ducks and owlies!! Thanks for the chance at such an awesome prize. Always love this expo. Forte Whole Foods spread! Yum! Manitoba Harvest Hemp Heart Bites look really good. My kids love the quinoa granola bars! There are so many yummy treats in this bundle! There are so many yummy treats! Freeyumm bars and cookies! Yumm!! 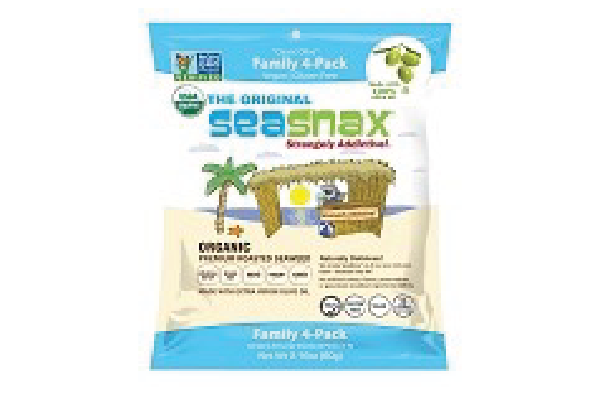 Seasnax Seaweed Packs are a big hit in our house! 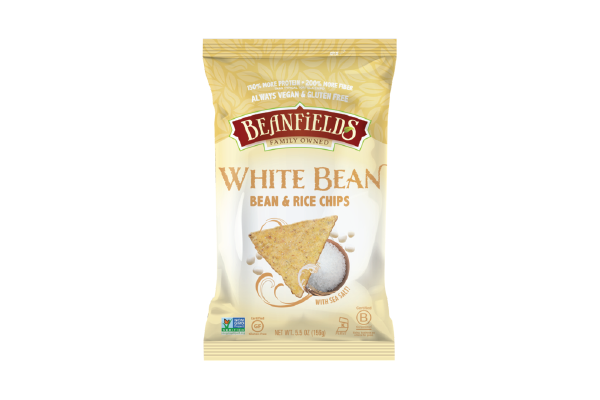 My kids love the bean chips and they have so much fibre! It’s a great alternative to corn based chips. We love this family expo! The kids had a great time last year! 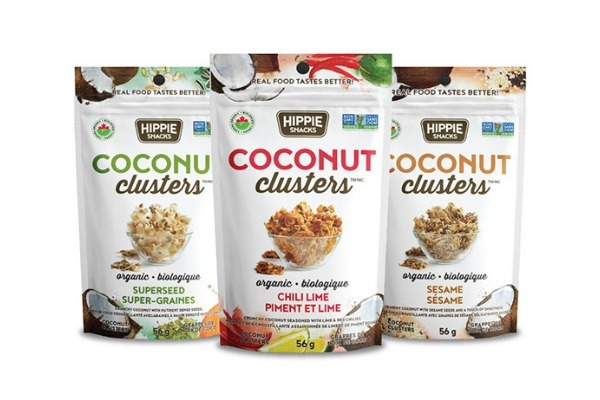 The Hippie Snacks coconut clusters are a hit for special snacks in our house! 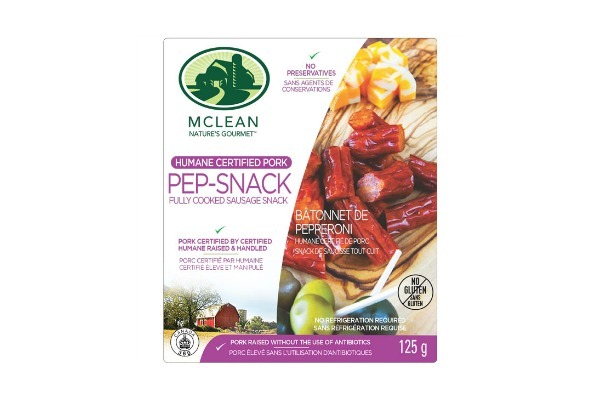 We would love to try the McLean Meats Pepperoni Snacks and the Love Child Organic Love Ducks. They would be popular in our house! And I bet she’d love it if that was all we ever bought. Our household favourite is Hippie Snacks Coconut Flakes ! Beansfields, Hippie Snacks, MadeGood, Love Child, Envirokidz, Seasnax, and Sunbutter are all favourites in our house! My son loves Seasnax seaweed! I’m so happy he loves them. so healthy! I would like to have my kids try these snacks! My kids will love and look forward to the Organic Meadow Cheese sticks, the Freeyumm bars & cookies, And I look forward to trying a few of your recommendations. Our daughter loves organic cheese strings and grapes the most. Whole Foods is great! Can’t wait for Healthy Family Expo 2018! What a great contest and so many great ideas smd products. My kids love the Made Good snacks! My kiddo already loves most of these snack suggestions! Her faves are the Seaweed Snacks and Wise Bites. Bars! My oldest – who has a very particular palette – tried a sample at the Healthy Family expo last year and was HOOKED. I love them too, and feel good about giving them to her. Would want to see more vegan+gluten free options! Lots of good ones to choose from! But I know they would like the free yum cookies! We have tried some of the snacks on this list, but many we haven’t. Love finding new healthier snacks for my 4 active kiddos!! My son simply loves spinach! He’ll sit there and eat it like a bag of chips! Lots of great snack ideas! My daughter would probably enjoy the Wise Bites Oat & Quinoa Chocolate Chip cookies. My kids and I LOVE Wise Bites! I keep them in the fridge all time. They’re great for on-the-go snacks when we’re running to soccer practice or swimming, and the kids always grab extras for their school lunches. She really likes the SeaSnax! The granola minis are one of our favs. My toddler loves the Made Good snacks! We looove Kiju organic juices!!! 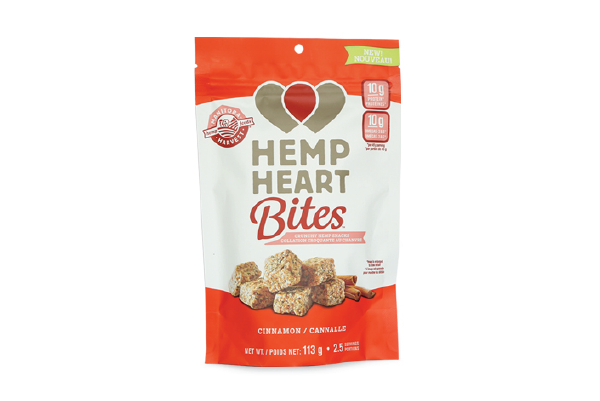 Hemp Heart Bites are our favourites! These snacks look great, definitely going to be checking them out on my next trip to whole foods! GRANOLA MINIS would be a much enjoyed snack with my kids and me! Lol! Yummy! 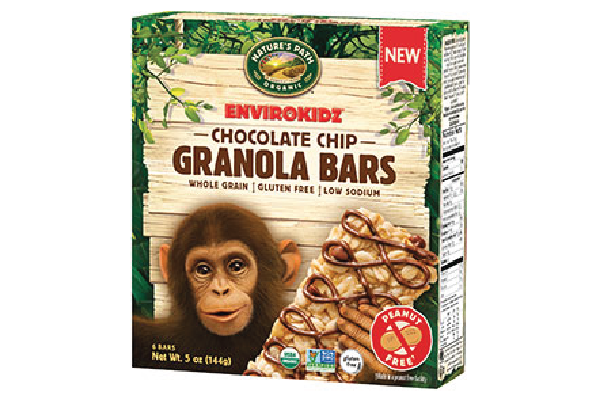 My son loves the Envirokidz granola bars! I think one of my kids would love the Love Child Organics Love Ducks the most, and one of my kids would love the Sunbutter Sunflower Butter the most. Envirokidz granola and the pepperoni snacks. Baby loves the Love Ducks. I’m interested to see how my kindy kid likes the Freeyumm bars and cookies. Yum. Lots of good ideas here. SEAWEED PACKS because they love savory snacks! the made good granola bars would my kids favs! The Envirokidz rice bars are always a hit here. I don’t have kiddos yet 😉 But I personally really love the ENVIROKIDZ snack bars!! So good! My son just loves love child purée and puff! They are just awesome! Thanks for the chance to win! My kids love seaweed packs! My kid loves Kiju juice & Made Good Granola Bars. I would have love to try the other healthy snacks. Thanks for the opportunity to win! Would love to try Jilly B’s and Freeyums. Love to eat the seaweed!! My kids and I love the Jilly V’s! It keeps my kids full all morning! Love to try the Quinoa bars! My 5 1/2 year old and 2 1/2 year old would gobble all of these snacks up! They love to eat healthy even snacking on raw Brussel sprouts (yes, you read that right!) with one on his way to grade 12 and one going into kindergarten I’m going to need all the help I can get!! My daughter loves the FreeYumm bars! The freeyumm snacks sound good! I really love this list of recommendations! I will definitely look for these next time I go shopping. Sao many healthy and yummy options! We Love whole foods! I love this list!! I think my favorite one from the list is the pep-snacks. Great list, and quite a few products that I hadn’t heard of before. Can’t wait to try some. FreeYumm Bars all the way! Ahh thank you for this! Needed new inspiration for my picky toddler and baby, especially for having snacks on the go! Will definitely be going to my nearest whole foods to pick up some of these items! The coconut clusters sound amazing! 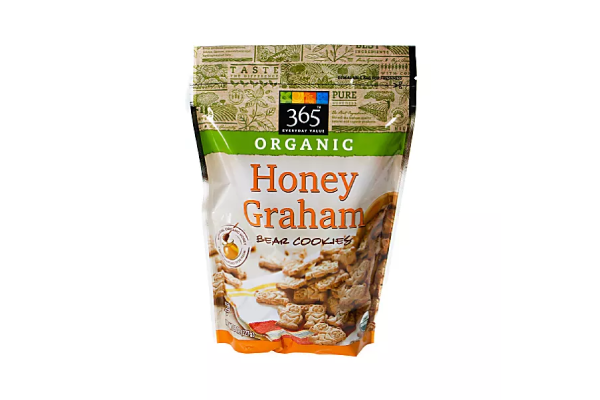 My kids would definitely like to try the “365” honey graham cookies! Too many to choose from. Would like to try the Jilly V Jump Starter. My son would definitely love the cheese sticks! 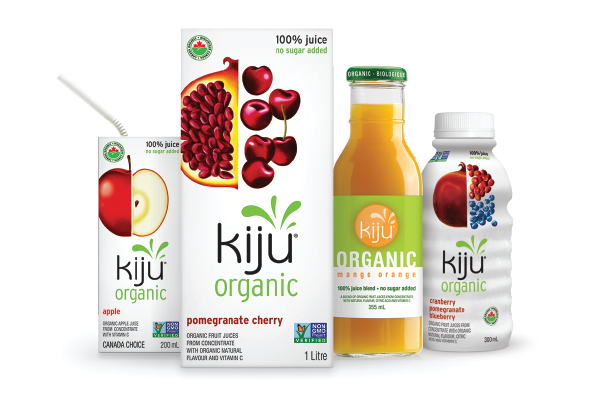 My son would most love the KIJU ORGANIC JUICES. So many great options! Thank you! My kids love the Envirokidz bars! My child would like the Made Good granola minis with dark chocolate and bananas. Thanks for all the healthy lunch box ideas! My son would love the Organic Meadow Cheese Sticks the most. I would say many would be favourites but if one needed to be chosen, cheese sticks are one of her go to snacks so it would have to be Organic Meadow Cheese Sticks. Great recommendations! Some of these are already household favorites!! Thanks for sharing these tips! My little one loves the Love Child Ducks! We eat a lot of made good products and free yum as we are anaphylactic to peanuts and these are safe and delicious for our snacks. The Granola minis! Any excuse to have chocolate in a snack, and these are full of goodness! Such great snack ideas…I desperately needed new ones! My son would love to try any of the peanut free options! 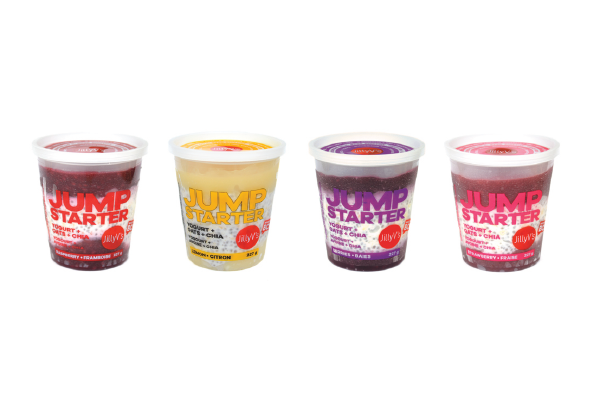 My daughter (& myself) would love to try Jilly V’s Jump Starter. 😋😋 Thanks. 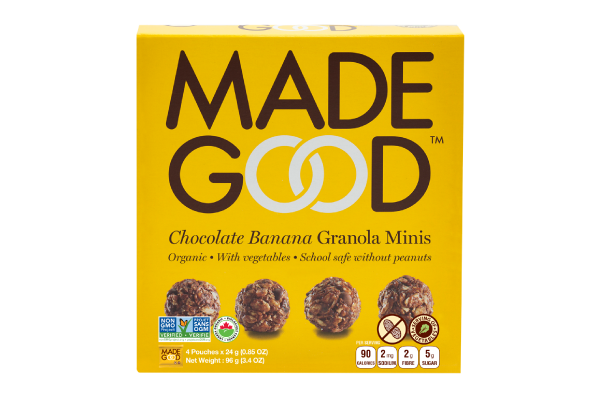 I know my daughter would love the granola minis from MadeGood!. Seasnax are a fave with my kids! Both of my School aged kids love your salad bar, lots of healthy delicious options! Great ideas for healthy lunches! Some of these look good for my lunch too! He’d probably go for the Sun Butter. Odds are, he’d never know the difference! Thank you for offering such healthy grab & go snack options and for keeping in mind food allergies! My kids would love all the snacks. 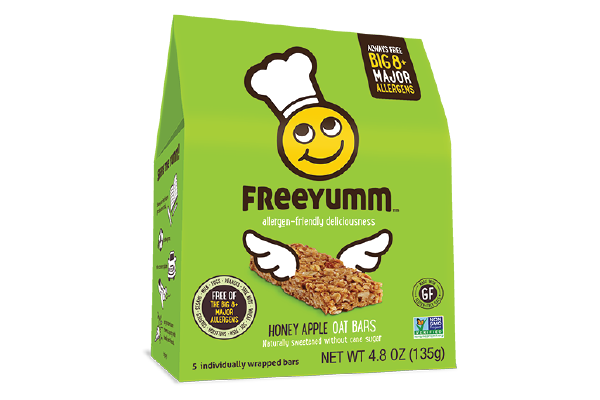 Would love to try FreeYumm bars and pepperoni snacks. 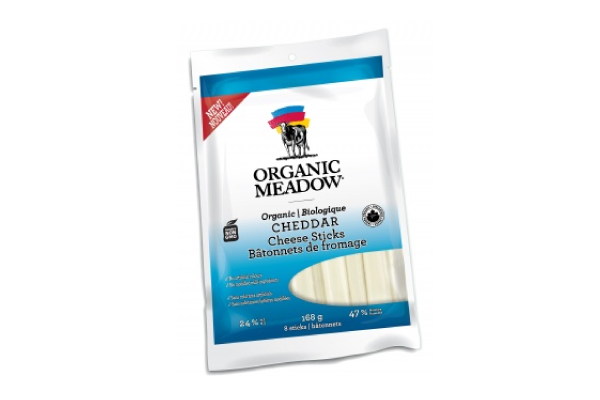 The Organic Meadows cheese sticks would be my daughter’s favourite product. I would like to try Jilly V’s Jumpstarts. I also would like to enter the contest please and thanks! I like Kiju juices a lot. So many amazing products, can’t wait to look for some of these & give them a try! For the chance at the giveaway, my fingers are crossed!!! Envirokidz Granola and rice bars! I think my kids would enjoy most of these snacks – Seasnax are a tried a true favorite though! My kids go “nuts” for this sunbutter. They LOVE peanut butter but because we are apprehensive of others’ possible allergies, we switched. The kids LOVE this butter. It’s safe and deliciously sunny! Thanks for sharing this helpful post as my daughter needs different snacks every day and this post has given me various snacks ideas. Keep sharing such interesting posts.